When I used to tell people that I wanted to go to Disneyland, they all thought I was crazy. Why would I fly across the country to California, when I only live three hours away from Walt Disney World in Florida? Why not save my money and go somewhere else, because surely, Disneyland is an exact copy of Walt Disney World? I’m so glad I didn’t listen to anyone because I absolutely fell in love with Disneyland. It feels like a completely different experience, and yet still has that same familiar sense of magic. As with anything, there are pros and cons to each park, and I didn’t think Disneyland could possibly compare to Disney World. However, I was lucky enough to visit and see what Disneyland was really all about- and why every Disney World fan should pay a visit to Walt’s original park. Unlike the massive empire that is Walt Disney World, Disneyland is a lot smaller. It has two parks, three resort hotels, and no water parks. 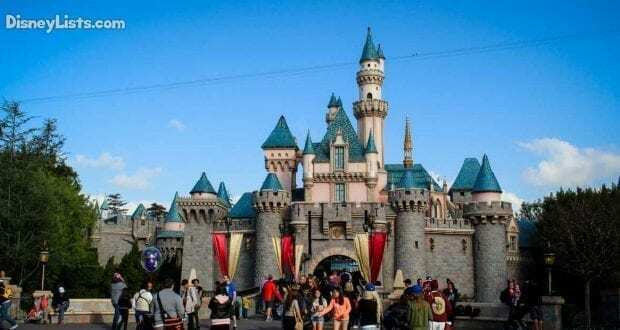 However, Disneyland’s size feels intimate rather than cramped and contains a certain charm. The two parks (Disneyland and Disney California Adventure) are right across from each other, making park hopping a breeze. Downtown Disney is right next door, as are the resort hotels. Even if you choose to stay in a nearby off-property hotel, as I did, it’s still a very easy walk to the parks. Disneyland does have a monorail, but it’s treated as more of an attraction than a transportation system. The ease of getting to places within the Disneyland Resort just can’t be beaten! I enjoy being able to make FastPasses, Dining Reservations, and itineraries in advance while planning a Walt Disney World trip. However, it can be stressful, and going to Disney World without a plan feels insane. I find myself refreshing my phone for hours, waiting to see if the perfect FastPass selection ever becomes available. I get worried over allowing myself enough time to get from park to park. Disneyland, on the other hand, is much easier to plan for. They don’t have FastPass+, but instead have paper FastPasses and MaxPass, which you can only get the same day of your visit. No worrying about booking a FastPass 60 days out! Also, getting a restaurant reservation feels much easier at Disneyland. With the smaller size of the resort, you don’t have to worry about catching buses, or driving everywhere. Disneyland definitely has a more laid-back feel, which gives you more time to enjoy the park, and less time planning out every detail of your day. Disney World may have more restaurants due to its size, but the quality of restaurants in Disneyland can’t be denied. My favorites were the Blue Bayou (which gives a great view of Pirates of the Caribbean, and where you can order the famous Monte Cristo sandwich), The Jazz Kitchen in Downtown Disney, and the Carthay Circle Restaurant at Disney California Adventure. The fried chicken at the Plaza Inn was also particularly mouthwatering! The snacks offered at Disneyland are equally delicious- there’s nothing like a munching on a Disneyland churro, grabbing a dole whip while watching The Enchanted Tiki Room, or sipping on a Mint Julep. I also really enjoyed the milkshakes at Flo’s V8 Café over in Cars Land, where you can drink while watching the cars on Radiator Springs Racers go by. While you can get a lot of the same snacks at Disney World, I enjoyed the taste and variety of food more at Disneyland. I encourage every Disney fan to try the food on both coasts, and form your own opinion! There are many attractions that are offered at both Disney World and Disneyland. Disneyland’s versions tend to be longer, and have slight differences that make you feel as though you are experiencing something new. Pirates of the Caribbean is longer, takes you past the Blue Bayou Restaurant, and has two drops. “It’s a small world” offers a beautiful outdoor façade, and the ride is filled with dolls of Disney characters in the different rooms. If you visit during Halloween and Christmas, the Haunted Mansion has an overlay called Haunted Mansion Holiday, and the attraction is decorated in a Nightmare Before Christmas theme. I can keep going on and on, but it’s worth visiting Disneyland just to ride these attractions. Also, make sure to visit the unique attractions at Disneyland as well! Disneyland’s shows are spectacular! If you enjoy the Happily Ever After fireworks at Disney World, but miss the nostalgia of Wishes, then you have to check out Disneyland’s “Remember…Dreams Come True!” fireworks show. It definitely provides a sentimental feeling due to its focus on classic Disney movies and attractions. Also, for those at Disney World, who lament the loss of the Main Street Electrical Parade, can be consoled by its presence at Disneyland- and can watch the Paint the Night parade for something new and equally beautiful! As for the other shows, a lot of people argue that Disneyland’s version of Fantasmic is superior to Disney World’s. I don’t want to turn this article into a contest, but their Fantasmic is an outstanding show with different elements and special effects. The World of Color show at Disney California Adventure is an amazing spectacle of light, color, lasers, and fire synced to music and water screens. The stage shows at Disneyland are also really fun, and I particularly enjoyed Frozen: Live at the Hyperion. 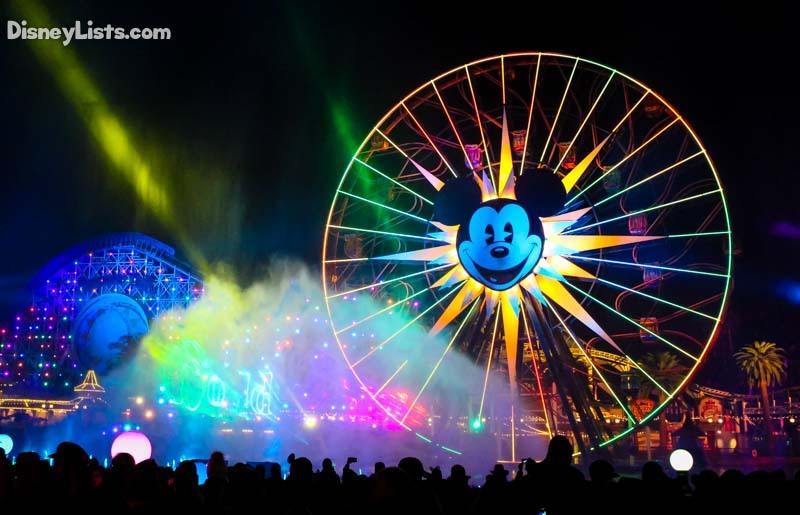 Maybe it’s because of Disneyland’s proximity to Hollywood, but the nighttime spectaculars, live entertainment, and Broadway-style shows are not to be missed. Disneyland is special because it reflects Walt’s original vision and is the forerunner to Walt Disney World’s Magic Kingdom. 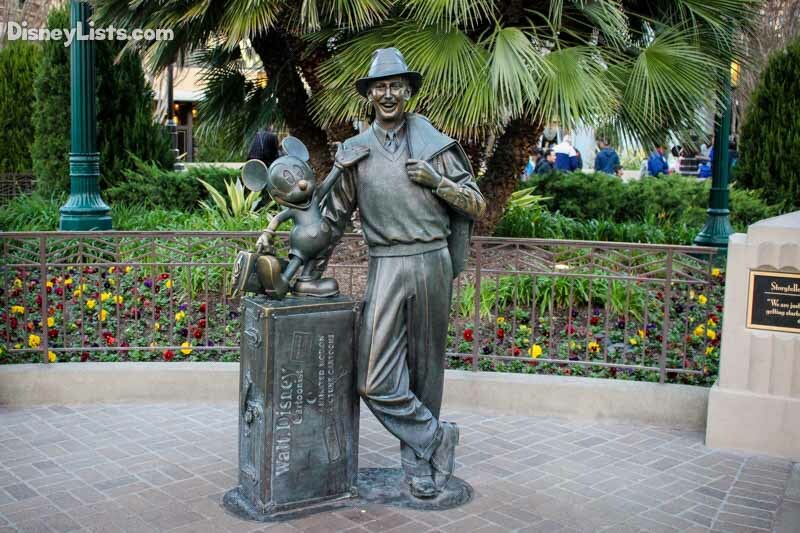 It is the only park where Walt Disney himself actually walked, and it is packed with history and personal details. For example, guests can always see the light from Walt’s lamp in the window of his old apartment over the Disneyland Firehouse. The lit antique lamp used to serve as a sign to staff that Walt was inside, and now the lamp stays lit as a tribute. You can also dine at the River Belle Terrace, where Walt used to eat breakfast. The Main Street Opera House on Main Street U.S.A is also worth a visit for some interesting Disney history- it is the oldest building in Disneyland, and formerly served as the park’s lumber mill. Now, the building hosts interesting exhibits relating to Walt and his ideas for the park, as well as Great Moments with Mr. Lincoln- a show that was imagined and directed by Walt Disney himself. There are plenty of wonderful details within Disneyland that serve to remind guests just how classic and iconic the park really is, and how important Walt was to its creation.